Carr & Day & Martin Wound Cream is an advanced, antibacterial, scientific formula that helps to reduce the healing time of minor cuts, scratches and abrasions. 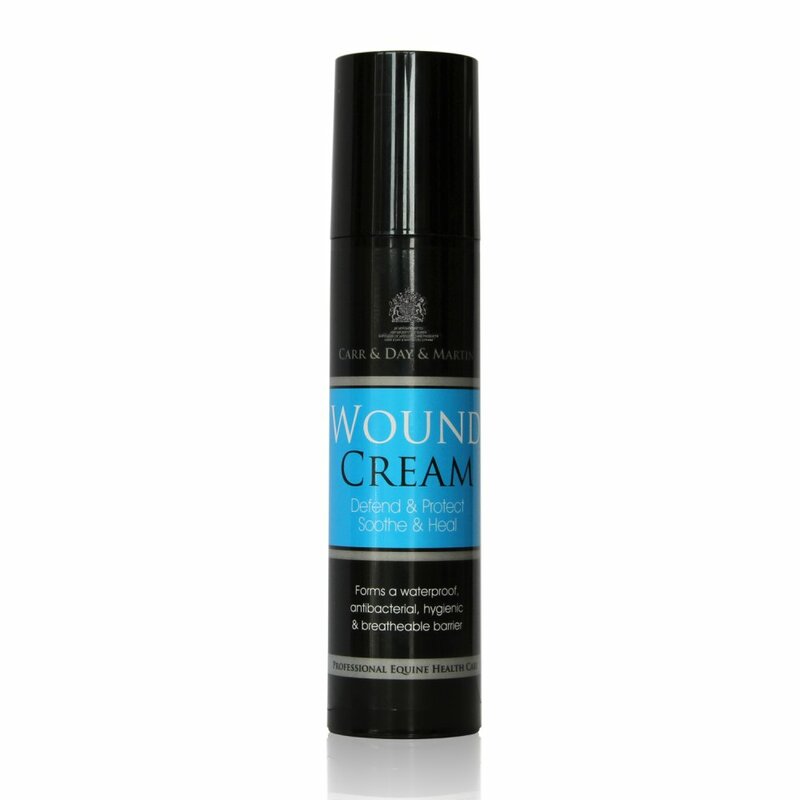 This wound cream is specially formulated to be water resistant whilst allowing the skin to breathe freely and heal ‘correctly’ in beneficial moist conditions. Carr & Day & Martin Wound Cream is easy to use, great for minor wounds and also suitable for skin conditions such as mud fever. Ensure the area is clean and dry before applying Wound Cream. For minor cuts: Apply liberally ensuring all the affected skin is covered. Re-apply once or twice daily. For horses known to suffer from winter skin conditions: Apply on a daily basis to vulnerable or damaged areas. The key ingredients in Carr & Day & Martin Wound Cream are zinc oxide and Tea Tree oil.